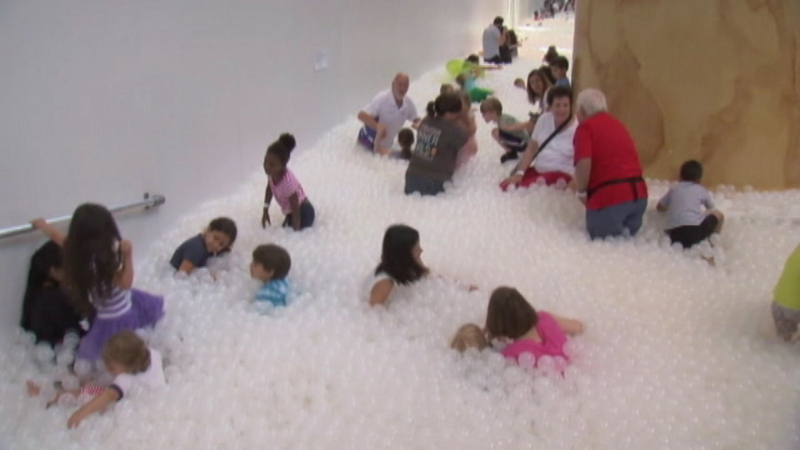 A pit filled with 750,000 mini beach balls the newest exhibit at the National Building Museum in Washington DC. WASHINGTON (WLS) -- A pit filled with 750,000 mini beach balls the newest exhibit at the National Building Museum in Washington DC. Museum staff says it's hard for people to get in and out of the pit and they've already had reports of a lost wedding ring and several lost cell phones. The 10,000-square foot beach even has lounge chairs, umbrellas and fake sand.